Not to be confused with MSG (bad) PSGs (good) are an essential discipleship tool for Christians today. Unfortunately, in an attempt to trim costs, some churches have opted to order only leader materials. Other churches have chosen to provide every member and guest with their own Bible study booklet. That PSG (personal study guide) is an important part of a group Bible study experience. I’m a big fan of every group member (and guest) having their own PSG. Discipleship doesn’t take a day off. You know as well as I do that people attend Bible studies sporadically. People are often present one week, then absent two. But if that person has a PSG, they can continue to read, study, and respond to God’s Word in between Bible study sessions. Just because the person is absent doesn’t mean they should take time off from being immersed in God’s Word! Having a PSG means the absentee can keep up with the group. With a PSG, they won’t miss a beat. The group experience is better with PSGs. Having a PSG before the group meets for Bible study makes it possible for me to read and study ahead. I can jot down questions, respond to statements made by the author, and mark words or phrases for which I need more clarification. Coming into a group Bible study “warmed up” helps every member to get into the Bible study. We’ve all been a part of a group in which no one prepared in advance. Boring! People just sit there, waiting for the teacher to “do it all.” PSGs give me plenty of material to jog my thinking, challenge my understanding, and apply biblical principles to my life. I enter the time for Bible study with my thinking primed. The PSG is a tool to attract guests. Savvy churches are using PSGs at their guest centers. When a person fills out a guest information card, they are handed a PSG and invited to choose a group to attend. The PSG is theirs to keep whether or not they attend a group. But having PSGs at greeter stations sends a healthy signal that the church cares for its members and guests, invests financially in people’s spiritual growth, and raises expectations about what will take place in the Bible study groups it sponsors. It’s difficult to get visitors to attend a Bible study group; fear of the unknown often keeps some people away. But having a PSG in advance puts the guest on a level playing field with every other member of the group. Now they know what the group is studying (and will study). The financial investment is fantastic. A PSG produced by my company costs approximately $2.40 per person. 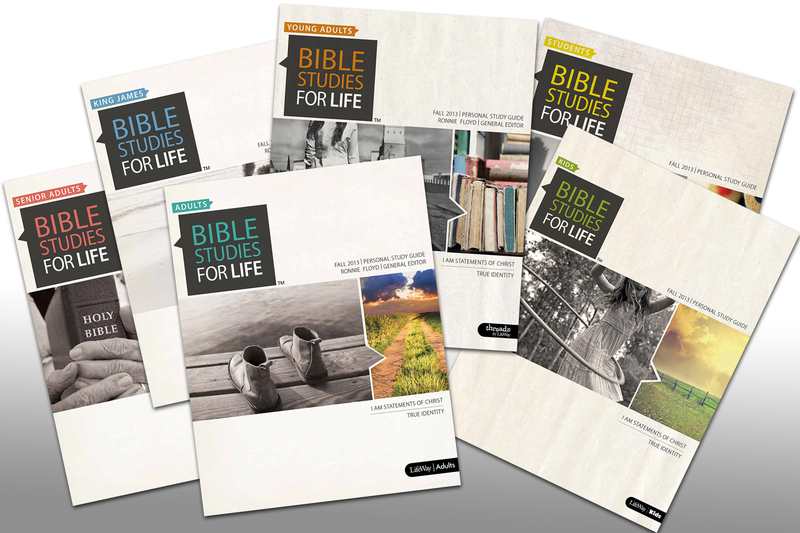 Before you say that is a lot of money (because you may be purchasing them for hundreds of people), consider this: each PSG contains 13 complete Bible studies. By doing the math, that means each session costs just $.18! There is no other resource a church could provide to help people mature in their daily walk with Christ, and nothing more economical they could provide to create better group experiences for everyone, than an $.18 a week Personal Study Guide. PSGs do have their value; however, as the leader I often find them condescending, as if the reader were incapable of deep thinking or tough questions. I always do additional scriptural research and provide a handout to add depth to the lesson. The additional questions provided on the website provide a solid link from scripture to daily living. Thanks, Robin, for your comment. Often times the open group studies are crafted for believers of all spiritual stages, and pre-Christians who may be (should be) present in our groups. I teach as well, and do additional study like you. I find it helps me be able to address my group’s needs. I can tell you that we have education experts on staff who craft questions to evoke critical thinking and deeper levels of learning. Thanks for being a teacher of God’s Word! Excellent. Watch 4 the Tweet!